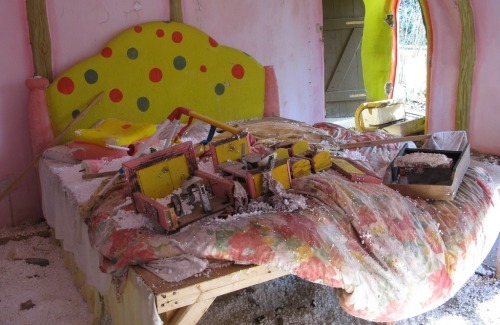 Mr. Blobby’s House - Dunblobbin - After being a featured character on Noel’s House Party, Mr. Blobby received great success and had a couple of theme parks opened in his honour. 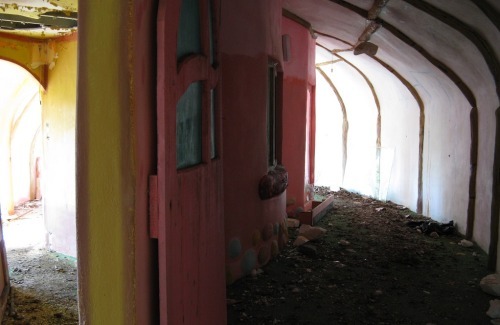 This Blobbyland at Crinkley Bottom closed only after being open for 2 years. Mr. Blobby received a bunch of negative attention after it was described as portraying ‘a nation gone soft in the head’, though that innuendo seems a bit harsh for a kids show. After this it all went down hill and now Mr. Blobby is only known to those who watched him while they were growing up. 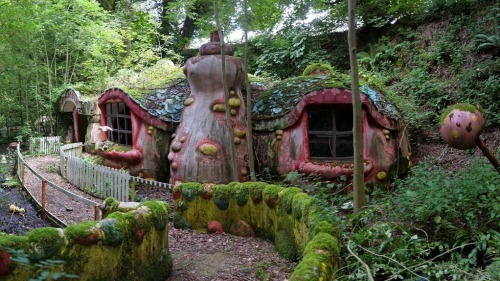 The park of Blobbyland was reverted back to a wildlife park after its closure, but his sweet home of Dunblobbin still remained behind alone. It is said that during the later 1990’s and on that Dunblobbin has been used as the site for wild raves and parties. 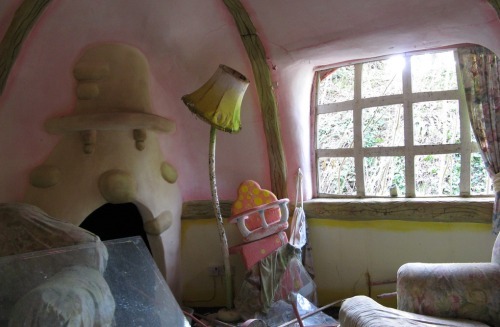 Though the ravers could have been more respectful to the stuff left in Mr. Blobby’s home, I really can’t blame them for their choice, as this is one trippy home. Dunblobbin was a good name, I feel like I’m done blobbing all the time.